How Do Industrial Dust Collectors Work? 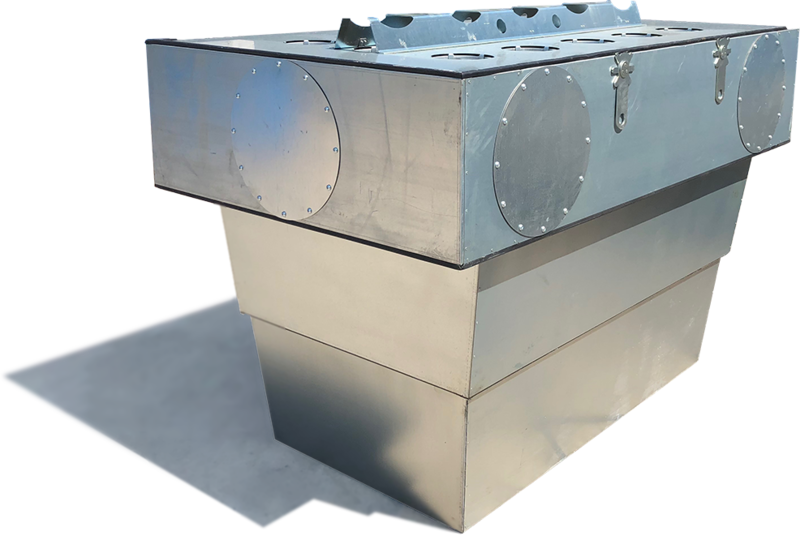 Industrial dust collectors can usually be found in the back of a facility, in an out-of-the-way area where nobody goes. It's often unclear who is supposed to service the dust collector, usually the last hired unskilled laborer. How to even check if the drums are getting full? Hitting them with a hammer, and listening to the sound? It's all very murky and it gets a lot murkier from there. When somebody finally wakes up to the idea that the dust collector needs to be serviced, it's usually long overdue. This means that the drums are full and the dust is backed up into the hoppers which in turn means that when you disconnect the drums, the dust over-flow that's in the hoppers will fall out. Cleaning up a pile of dust is not as easy as it sounds, and depending on the type of dust it can also be a real health hazard. Dust Collector Filter Change-Outs, a Dirty Job! Filter change-outs can also be a serious pain in the neck. 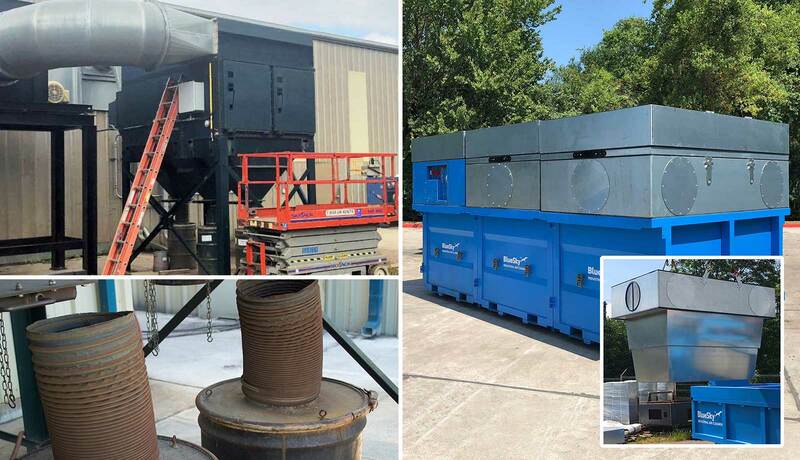 Since, in conventional industrial dust collectors, filters are located high off the ground, a ladder and a man-lift need to be organized, which in itself can be quite the undertaking in companies that don't have these items around for everyday use. The location of the filters makes it an arduous process. The walls and doors of the filter compartment of a dust collector are usually caked in dust and simply opening the doors causes a big mess. Adverse weather conditions (wind rain, snow etc.) are, again, more reasons for employees to put off this challenging task. When it finally gets done, dust-spillage is unavoidable. The SmartBox is where the filters are housed and the captured dust is collected. The SmartBox module is a sealed unit. 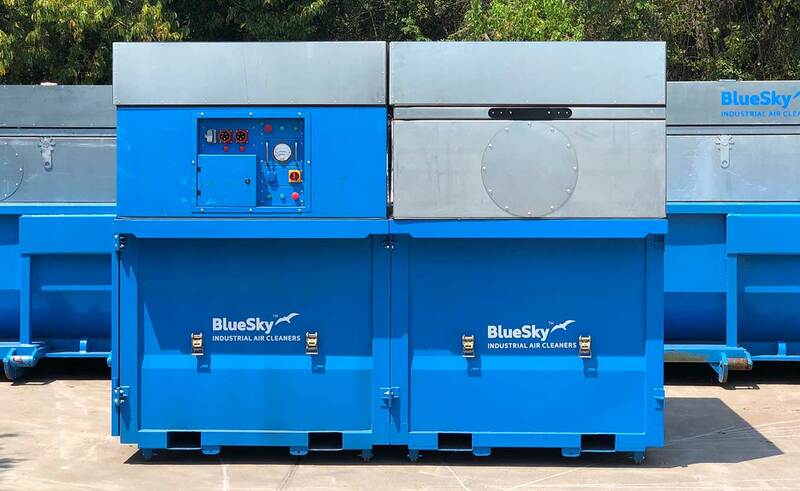 BlueSky has developed an industrial dust collector that solves all the problems mentioned above with a concept so simple that the first thing people usually ask when they see it is, "why didn't anybody develop this sooner"? It's called SmartBox Technology. A single SmartBox™ has the collection capacity equivalent of up to five of the standard 55-gallon drums commonly used. 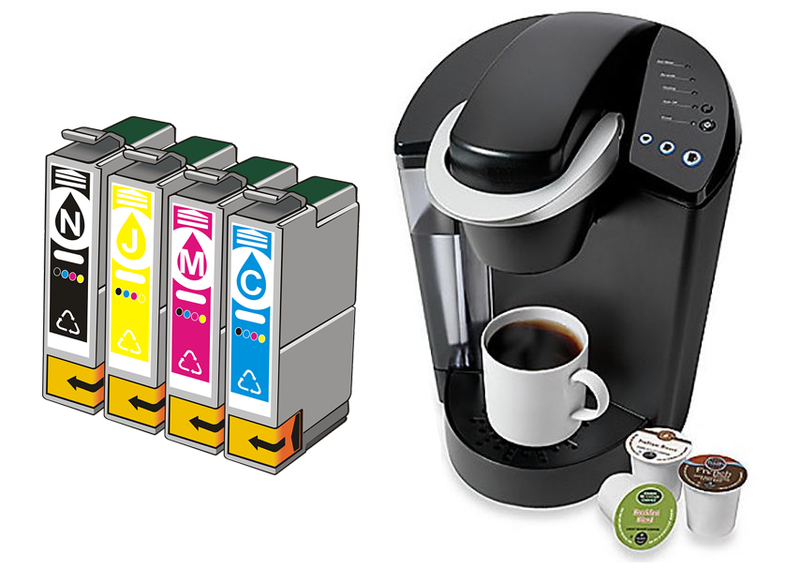 We invented printer ink cartridges, and more recently k-cups for coffeemakers, inventions that make existing processes less messy and more efficient. SmartBox Technology does that too. However, where the SmartBox system is different from printer ink cartridges and K-cups, is that for the latter two, we pay a premium for the advantage of a faster process and the privilege of not getting our hands dirty. The use of a BlueSky dust collector equipped with a SmartBox does all that, but actually saves money. No ladders, man-lifts, no more dust handling, no messy filter change-outs. The streamlining of the dust handling and filter change-out process saves so much time that it pays for itself and then some. Shift-loss, often associated with the old way of doing things, can usually be avoided with the use of the SmartBox system. Risk mitigation is another quantifiable cost-savings factor. Less quantifiable, but not to be overlooked advantages are: never having to worry about the state of your dust collector again, and knowing you're doing the right thing for the health of co-workers. The service of a BlueSky dust collector is done by your local waste management company. Probably the same people who pick up your dumpsters when they're full. So now they are going to do the messy job? No, the waste management company workers that do the on-site dust collector service never touch any dust or dirty filters. 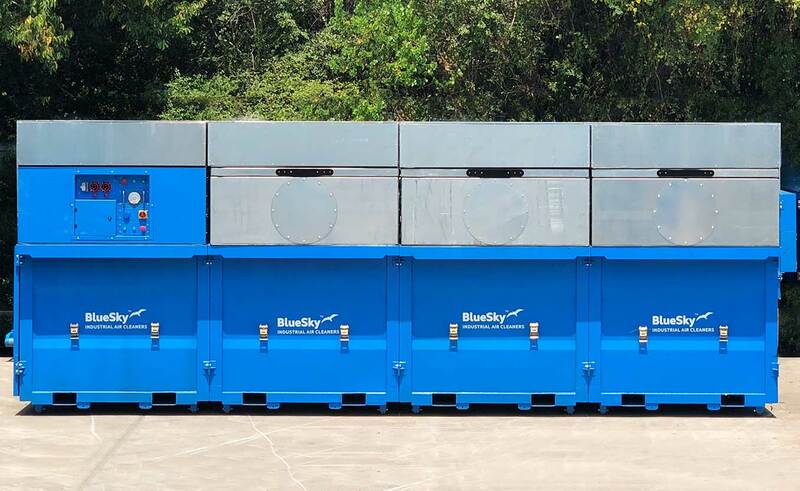 Where conventional industrial dust collectors have separate compartments for the filters and separate drums to collect the dust, a BlueSky dust collector combines both these functionalities into one. The SmartBox houses the filters and collects the captured dust. When full and/or when filters need to be changed, the waste management company lifts the entire box out of the dust collector and a clean empty one with a new set of filters is put in its place. The whole process can be done in half an hour or less. The waste management company takes the full SmartBox back to their facility to be processed. It's as simple as that! So What's Wrong with Old-Style Industrial Dust Collectors? Dust collectors can usually be found in the back of a facility, in an out-of-the-way area where nobody goes. It's often unclear who is supposed to service the dust collector, usually the last hired unskilled laborer. How to even check if the drums are getting full? Hitting them with a hammer, and listening to the sound? It's all very murky and it gets a lot murkier from there. Basic industrial dust collectors collect dust in hoppers at the bottom of the machine. From the hoppers the dust is usually channeled into drums. When a drum is full, the dust is containerized for disposal. The removal of the drum from the collector is always a challenge. Spillage (dust falling out of the rubber connecting sleeve) cannot be avoided. The handling of the open drum creates a significant risk. Any minor mishap can release large quantities of highly concentrated dust cake onto a worker and into the surroundings. It is very common to see a highly contaminated work area around the base of a dust collector. Filter change-outs are cumbersome too. Filters are located in the top compartments of the dust collector, lifts and/or ladders are needed to reach them. The risk of spillage is omnipresent. 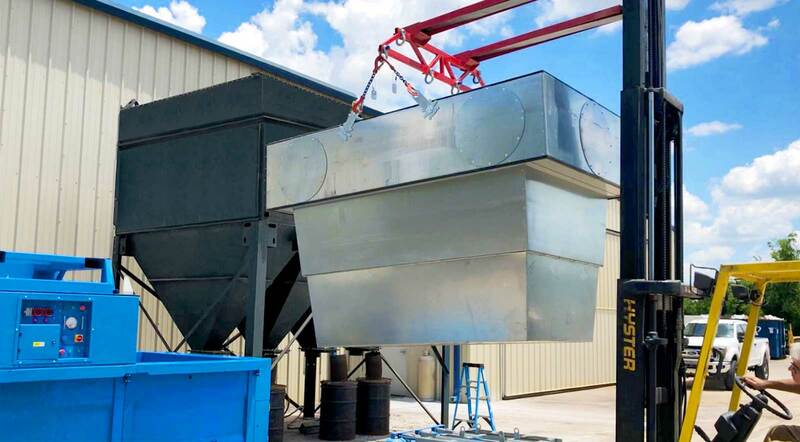 Mobile dust collectors typically have their ducting inlets located high up. The safety and operational problems this creates are immediately clear from looking at the picture. Not clear is what goes on inside the dust collector. The dust is collected in the lower area of the machine and has to be conveyed out to be containerized and disposed of, adding a serious risk of spillage. The auger/conveyor system is problematic too. The auger needs to be cleaned regularly. If not done, dust cakes to it and becomes rock-hard. To fix it, a worker has to go inside the auger compartment with a hammer and chisel to chip it clean, a dangerous and time-consuming affair. Filters can only be reached from the roof, which makes filter change-outs a nightmare. The only other things that can go wrong are flat tires, hydraulic oil spills and dead batteries (common due to an acknowledged design-flaw in these type of machines). BlueSky Industrial Dust Collection Systems. Moble or Fixed-Installation? The answer is easy. 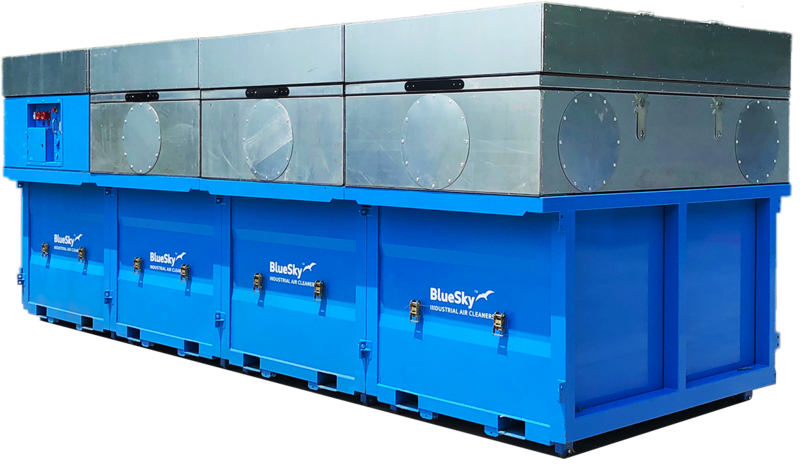 The BlueSky dust collection system is optimized for both applications. The machine, in both instances, is exactly the same. It’s transported by standard roll-off, or flat-bed truck, whatever is available. 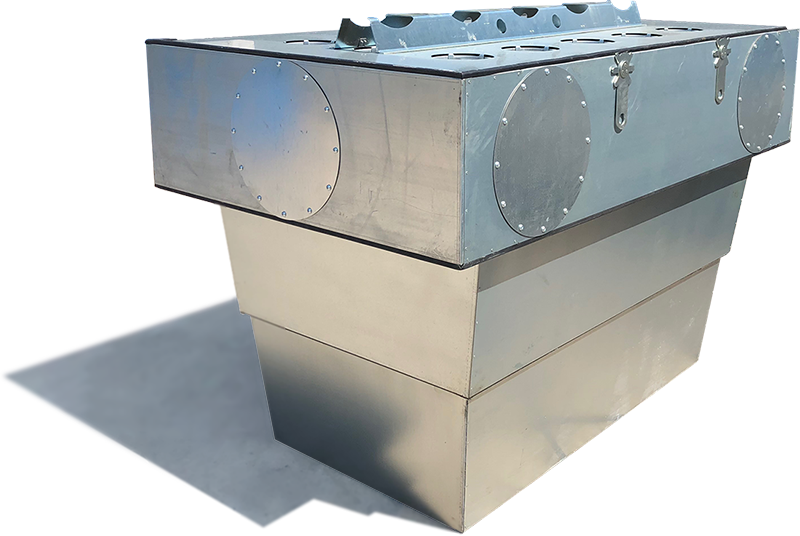 In both applications, it arrives fully assembled ready to be used, unlike other (fixed-installation)dust collectors that arrive in parts and require assembly. It truly is an astonishing achievement that this revolutionary dust collection system has combined the functionality of the mobile dust collector and the fixed installation dust collector and made both machines better. It's the clean, safe and risk-free alternative to out-dated technology. A BlueSky Dust Collector is always a customized solution. The modular system makes that possible. 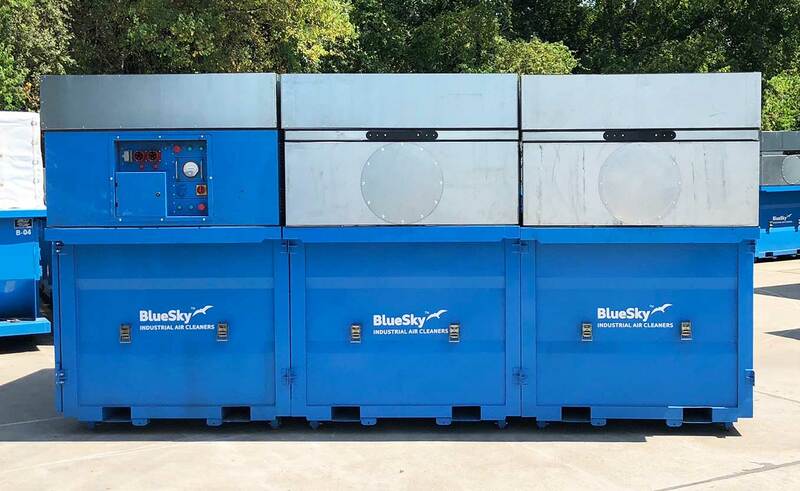 Your BlueSky machine is optimized for the specific type of dust or fume it needs to extract, which means that gives you the exact cleaning capacity you need. Not more, not less. This saves energy and it keeps operating costs down. 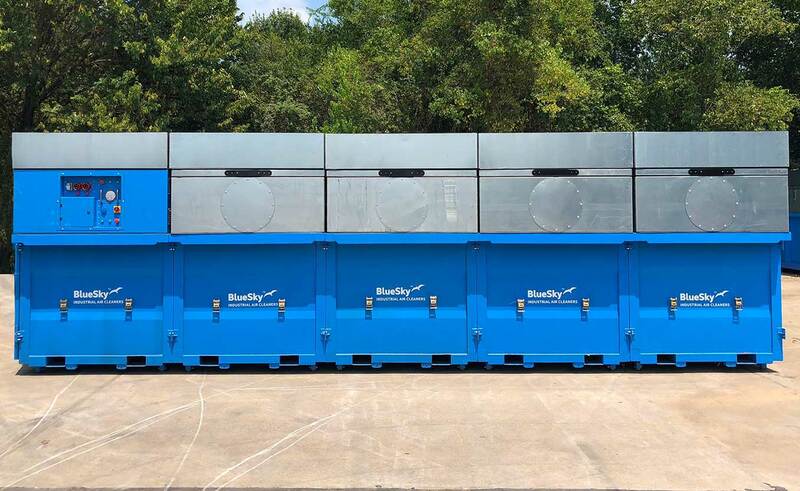 BlueSky industrial dust collectors can handle up to 60,000 SCFM airflow rate, and six tons of dust capacity. Dust and filters are always encapsulated, during use and disposal. Collected dust and filters never pose a threat to personnel or work environment, because everything is contained inside the SmartBox..